My current makeup rotation just about always lives in my Louis Vuitton Toiletry 26, but these two bags definitely fit the bill when I want something smaller and more contained. 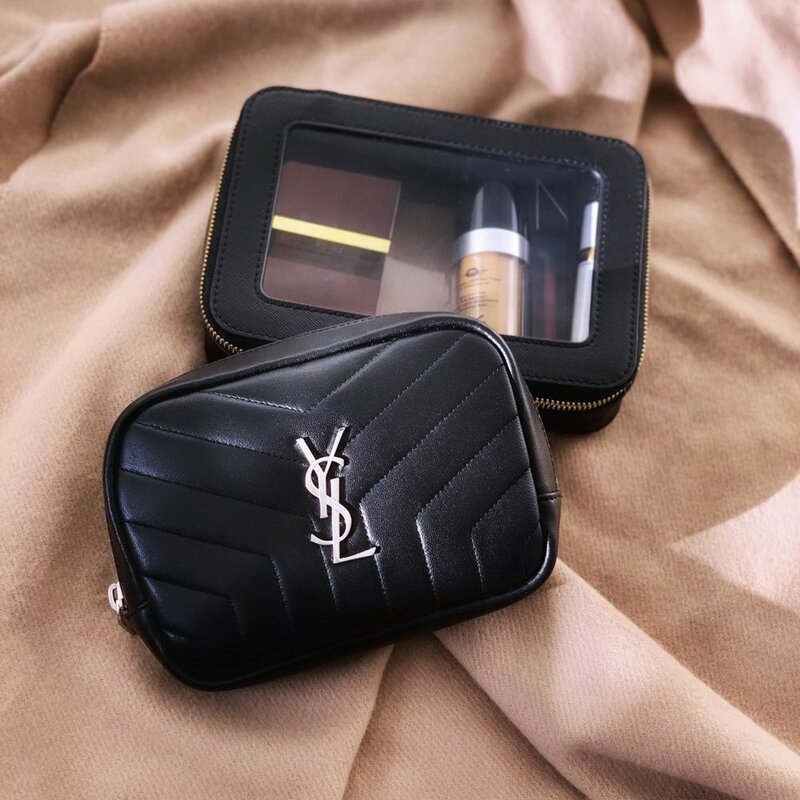 I’m currently using my YSL LouLou Matelasse Cosmetic Bag as a catch-all for my purse, to hold all the essentials. 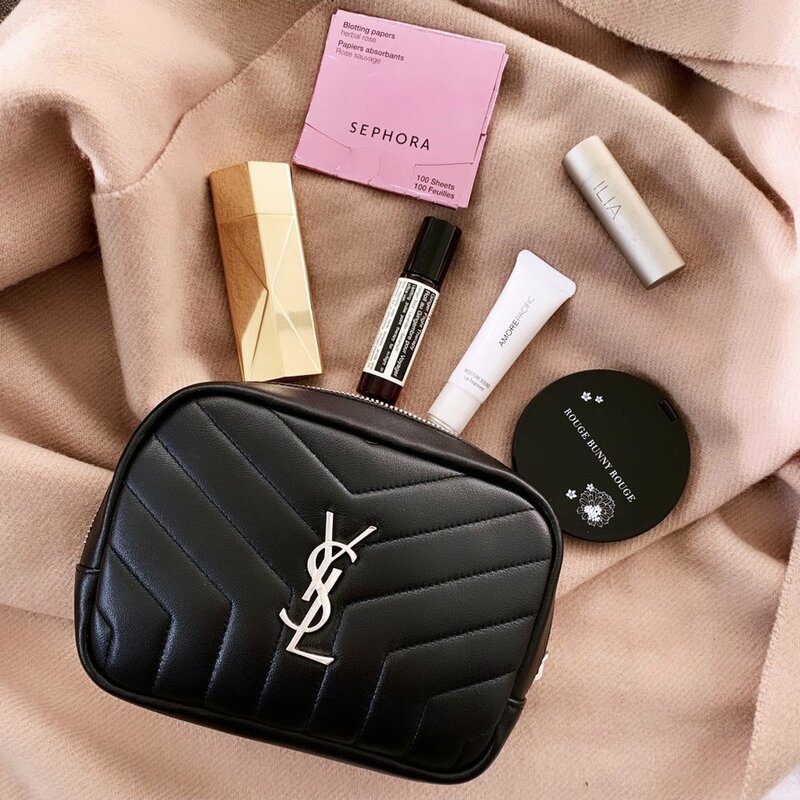 Aside from the miscellaneous medications, tissues, and girl things, I keep a few beauty essentials I always like to have with me. I would normally squeeze in a hand cream but I just have too much allergy and cold medicine in there right now, 😂! I also love the Truffle Clarity Jetset Case, which is more affordable but still very luxe and chic. I’m currently using it to store planner supplies (sticky notes, pens, washi, stickers!) that are in my rotation, but it can definitely store a decent amount of makeup . (Notice a trend? I clearly need to have things preselected and easily at hand, lol!) I plan to pick one up in another color for my makeup!